The investigation of Angeliki Nikolouis in Ioannina, the city that hid the secret of the disappearance of the 20-year-old student, was shocking. The reporter broke the walls of silence and methodically put together every piece of the puzzle of the mystery. She went to the Dairy School where Vangelis Yakoumakis was lost. Unknown aspects in the thriller that literally froze public opinion came to light. His roommate opened their room to “Tunnel” and remembered the details of the fatal Friday that eventually made the difference. Angeliki Nikolouli was in the dining room of the School and sat in the company of the “tough” Cretans, who, according to the complaints, were violently carrying the quiet student. “You sit in the chair that Vangelis sat that noon,” he told her, answering her questions in all their questions. The reporter found the bus driver who claimed he had taken the missing student, rendered the route and brought the overturning. The show featured an amateur video in which Vangelis appeared in an event before he was lost. His height was 1.75 and not 1.80 as it was originally said. Although the image was recent and clear, there were no testimonies that showed he was alive. 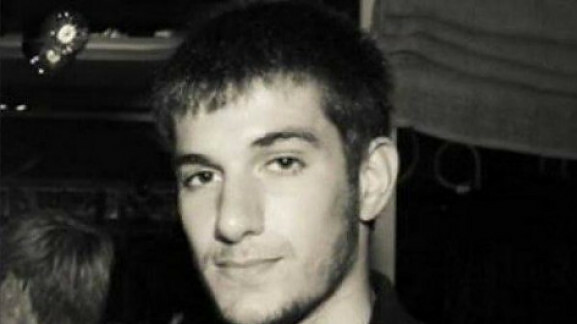 Vangelis Yakoumakis from Rethymnon, a student at the Dairy School of Ioannina, was suddenly lost at noon on Friday 6 February 2015. A few days later on Friday, February 13, the complaints that arrived on the show that he had been victimized by bullying caused the rage and indignation of the world. The testimony of a girl who knew Vangelis is indicative of the bullying that was accepted by his fellow students even in a public place with people. The girl was present at an incident that happened at a café in the Katsika area. There he was the missing student and the company of the “hard” from Crete. According to what she said, Vangelis ordered his coffee but his friends hid him. He asked them to stop, but they were continue beating him. In the end, they threw a glass of water over him. The company of the “harsh” Cretans, at first, was hesitant in front of the presence of the journalist in the dining room of the School. They did not conceal their dissatisfaction with everything they accused, which they categorically refused. They argued that they all had a very good relationship with Vangelis and a close friendship. The violent attacks against him that were denounced simply characterized them having fun. They described to Angeliki Nikolouli what happened when the missing person a few days before disappearing, came face to face with another Cretan who was serving in the Army at the time and was described by the witnesses as the “leader” of the group. In a journalist’s question they answered how they last saw him when they ate together Friday afternoon before disappearing. After the meal the group was split. Some went for rest and some for coffee in Katsika on foot. One of the Cretans told the reporter that after dining, he saw Vangelis around two in the afternoon in his room and everything seemed to run smoothly. Aggeliki Nikoloulis spoke to Vaggelis’ roommate in the room that they shared in the school. There the young student, before he was lost, had left all his personal belongings, and his cell phone, as his mother had said, was the extension of his hand. As he told the reporter, he saw Vangelis in their room around two o’clock in the afternoon. He seemed to want to stay to read as he used to. He went to the outside toilet and turned upset. He grabbed the keys and left. While he usually was telling him where he was going, that time he did not say anything to him. All he asked before he left was whether he wanted to leave his keys because he knew he had lost his own. He finally put them in his pocket and left in the unknown direction without taking the jacket as he used to when he came out. The visual material checked by CCTV near the gas station, showed a young man with the characteristics of Vangelis to cross the main pedestrian street of about two to five. Aggeliki Nikoloulis recorded with Tunnel camera the route that would be followed by Vaggelis with bus if that afternoon finally came out of the School. For the needs of the representation, the bus station of Ioannina provided the same bus which on Friday, February 6, went to Katsika – Eleousa route. The driver who testified that he had received from the School a student who resembled Vangelis, was willing to help. The reporter followed exactly the same route. As a result of the survey, at lunchtime, a smaller population is moving from the periphery to the center of Ioannina, and perhaps there was no reliable testimony from a passenger who might have seen the young student. This particular driver according to the program passed from the school’s towards the center twice. At about three to ten and later on at four and twenty. At one of the two stops, they boarded the bus outside the school, a young man and a girl. According to the guide, the young man wore a shirt on which on the front had written with white letters, but he did not remember his other features or wherehe had come down to. The girl held a bag and wore brown clothes.